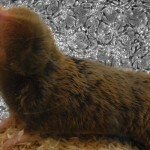 How Do Blind Mole Rats Ward Off Cancer? Blind mole rats and naked mole rats—both subterranean rodents with long life spans—are the only mammals never known to develop cancer. Rochester biologists have now determined that the mechanism for fighting off cancer differs between the two.